Kendama Las Vegas 1 Year Anniversary! 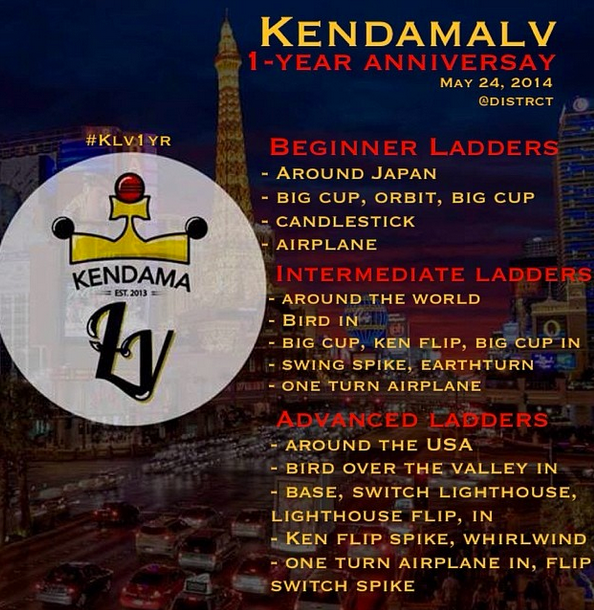 Dave Mateo and Kendama LV are hosting a competition for their 1 year anniversary!! If you are in the Las Vegas area swing by and check out all the action! We will have kendama USA Pros Dave Mateo, TJ Kolesnik in attendance!! You dont want to miss this!